At Vivero, we aim to develop engaging environments that support children’s curiosity and wonder, while providing safe ways for them to explore their world and stimulate their minds. The surroundings of the pre-school and child care facility are a place of shared relationships among the children, the teachers and the parents. The facility produces a feeling of belonging in a world that is alive, welcoming and authentic.The layout of the physical space encourages encounters, communication and relationships. The arrangement of structures, objects and activities encourages choices, problem solving and discovery in the processof learning. 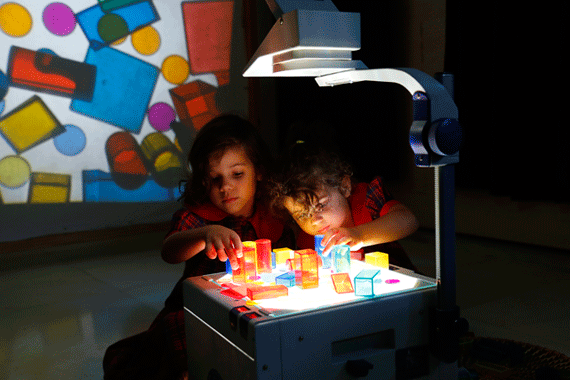 Our Reggio inspired schools comprise of ateliers that are intended to render both the learning experience and the process of education more complete and whole. Each of our ateliers are intentionally designed to provide a variety of provocations by means of design, display, materials and images. They are aesthetically set up to give children time, information, inspiration and materials so that they can effectively express their understanding through‘100 different languages’. The ateliers at our schools are built around a theme like art, music, science, technology or an idea like patterns, mirrors, constructions. Almost always, experts from several disciplines collaborate to design and construct the atelier – so we have architects, atelieristas, engineers, biologists, dancers, musicians, physicians planning such spaces. The projects by the Atelierista present a planned cycle of experiences and opportunities which foster the inherent interests and curiosity of children. We reinforce a child’s sense of belonging. We ensure that our Reggio-inspired classroom environment is beautiful, soothing,full of wonder and discovery, so that children feel intrigued, respected, and eager to spend their days learning in it. We provide children with ample opportunity to engage with nature in a clean and safe way.We utilise the external environment and its various open-ended resources like leaves, twigs etc. to aid a child’s physical, social,emotional and cognitive development. With spacious outdoor facilities like water play area,sand play area, jungle gym, traffic parks and much more, Vivero infuses the best of what the outdoors have to offer, through a holistically driven educational approach.